It might sound strange, but that’s a difficult question to answer. 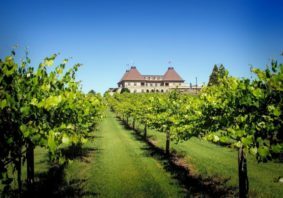 For some people, it’s charming tree-lined streets dotted with palatial, well-appointed homes and gardens blooming with gorgeous native flora. Others may say it’s a business mecca, boasting towering skyscrapers where some of the country’s most innovative companies are changing the way business is being done around the world. Then again, it’s also been called the “Beverly Hills of the South,” where the chic lifestyle echoes that of one of the most posh cities in the nation, complete with exceptional shopping, dining, entertainment and more. It’s even been recognized as a lovely family-friendly area, where parents have access to everything they could want for their children, from excellent schools to spacious parks. To develop your own impression of Buckhead, it’s important to examine it from every angle, including how it has evolved over the years and what it offers today to both established and new residents. In the 1830s, Henry Irby purchased 203 acres of land for $650 and established a junction and tavern at what is now the intersection of Peachtree, Roswell and West Paces Ferry roads. In 1864, the Civil War’s Battle of Peachtree Creek became the last major skirmish before Sherman’s army made its way to Atlanta. By the turn of the century, Buckhead became a vacation spot for Atlanta’s wealthiest residents, complete with summer cottages, second homes and large country estates. In 1952, Buckhead was annexed by the City of Atlanta. Buckhead emerged as a commercial center starting in 1956 when Ed Noble purchased land to develop and open Lenox Square Mall. In the mid-1970s, commercial real estate icon Charles S. Ackerman changed the skyline of Buckhead with Tower Place 100, a 29-story building. 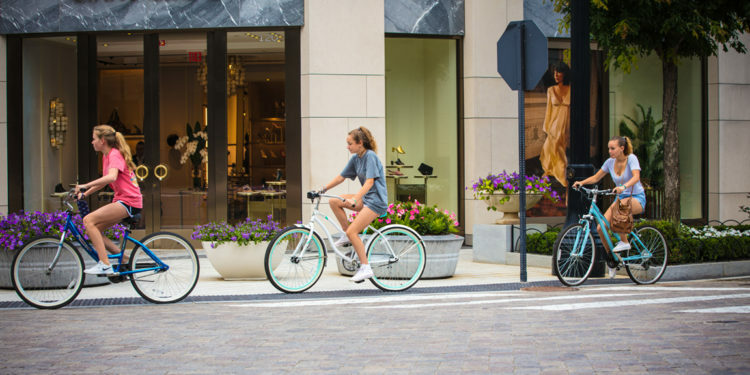 “[Buckhead] started out as a rural location for a tavern and is now one of the most well-known fashion and living areas of the United States,” says Richard Waterhouse, executive director of the Buckhead Heritage Society. 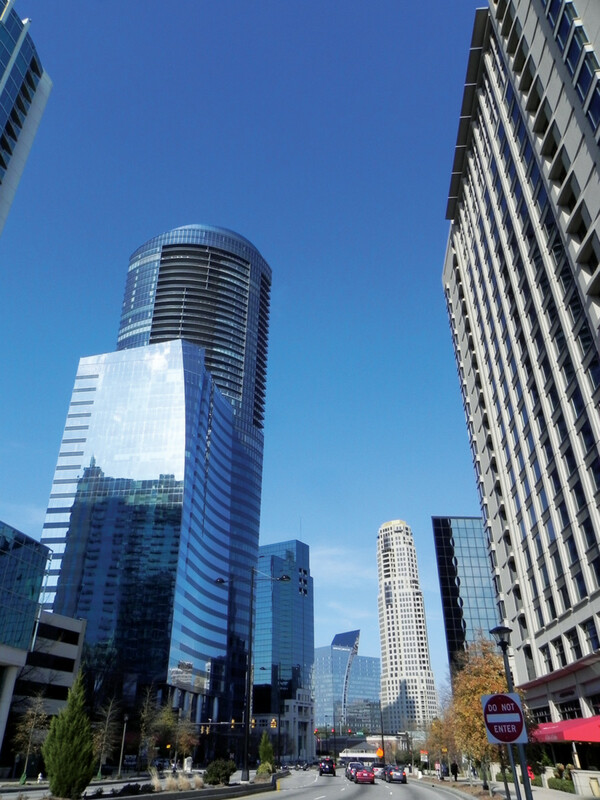 As the skyline of Buckhead has changed over the years, rivaling that of both Downtown and Midtown Atlanta, so has the composition of Buckhead’s business community. Initially starting as an upscale retail destination thanks to such spots like Lenox Square Mall and Phipps Plaza, the community has evolved over the last several decades. 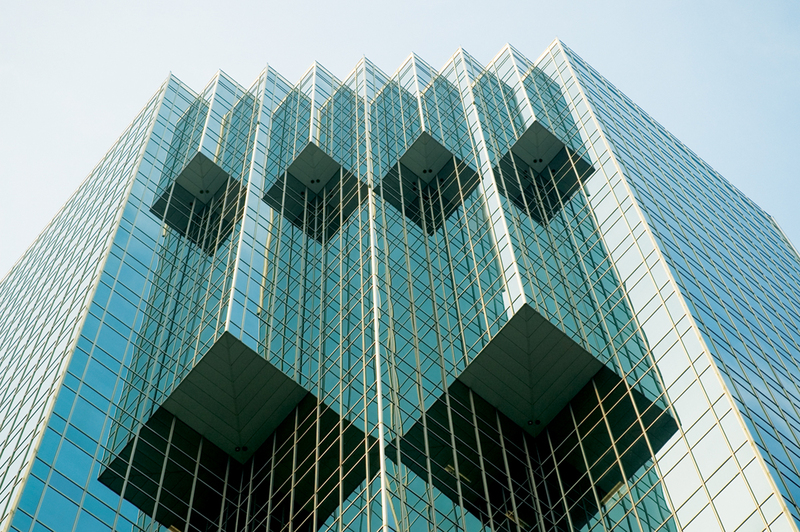 Companies in an array of industries began to call Buckhead home when high-rise commercial real estate space became one of the community’s most coveted resources. According to Sam Massell, “This high-tech arena is brand new for Buckhead. We’re very proud of how it’s moving forward.” That progress includes the emergence of a new subset of the tech industry in Buckhead. As Sivewright notes, “There are more creative office spaces in the Buckhead market that have not traditionally been offered in the submarket, which draw from the tech and TAMI (technology, advertising, media and information) companies.” Atlanta Tech Village, Armour Yards and 309 East Paces are just a few of the options that have popped up in recent years, giving tech companies and those associated with them the unique space they want within Buckhead. In recent years, more diverse residential options have come to the table, including multifamily complexes that are welcoming an influx of millennials who want to call Buckhead home. Of course, the community also still remains home to some of the most upscale residential offerings in the metro area; as the Coalition observes, Buckhead contains almost 40 percent of the Atlanta region’s supply of homes valued at more than $500,000. It’s undoubtedly a unique mix. There are 43 designated neighborhoods that comprise Buckhead, and they contain hundreds of homes. Those homes—both detached and townhomes—range in size and price, making them viable for homebuyers of all ages and income levels. The neighborhoods are ideal for families, providing easy access not only to exceptional public and private schools, but also to Buckhead’s many parks, museums and entertainment options. Low-maintenance living is one of the greatest resources for homeowners in Buckhead. And there are myriad condominium options in the community—many of them situated right in the heart of Buckhead’s commercial core. In fact, Park Place, the nation’s largest single-purpose residential condominium building is located in Buckhead, according to the Buckhead Coalition. For Buckhead residents, condominiums offer the perfect blend of luxurious living and convenience, with many of the area’s amenities within walking distance. It’s the epitome of upscale urban living in one of the metro area’s most coveted districts. A more recent entry into the community’s real estate market, apartment complexes are surging onto the scene, spurred primarily by the young professionals who want to both live and work in Buckhead. Thousands of high-rise apartment units are in development along Peachtree Road and throughout the community’s commercial center, boasting rent for as low as $650 to as high as $12,000 per month. Professional sports teams and stadiums may be in downtown Atlanta, and numerous performing arts venues may call Midtown home, but there’s nothing that can beat the lifestyle of Buckhead. Within its 28 square miles, there is shopping, dining, culture, nightlife, outdoor recreation and much more. Buckhead is one of the biggest shopping meccas in the southeast. With two major malls (Lenox Square Mall and Phipps Plaza), a new nine-acre mixed-use development (The Shops Buckhead Atlanta) and an array of boutiques and shops, you’ll find everything you could possible want. In fact, according to the Buckhead Coalition, Buckhead boasts 1,500 retail outlets that gross upwards of $3 billion annually. People travel from all over just to access the shopping opportunities, which include such high-end labels as Armani, Dior, Fendi, Hermes and Louis Vitton, as well as countless additional stores. “Buckhead is the dining room of Georgia,” Sam Massell declares with pride. And he’s right. With more than 300 eateries all within Buckhead, there’s no better place to enjoy everything from a casual meal to truly fine dining. From French bistros to Mediterranean cafes to American steakhouses to Italian restaurants, there’s something for everyone. From art galleries to museums, there’s a rich cultural experience to be had in Buckhead. For instance, more than 60 art galleries can be found in the community, including Lagerquist Gallery, Atlanta’s oldest continually owned and operated fine art gallery. What’s more, the Atlanta History Center, which preserves and honors the entire metro Atlanta region’s heritage with an array of exhibitions, is located in one of the most beautiful locations in Buckhead; it also features the famous Swan House. More than 1,000 acres of parkland and green space can be found in Buckhead. 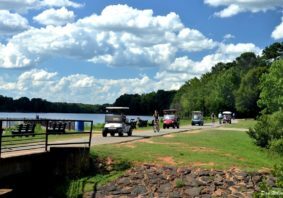 One of the best places to start is the 268-acre Chastain Park, Atlanta’s largest city park. With walking trails, swimming pools, tennis courts and a neighborhood amphitheater, it’s one of the best destinations for outdoor enthusiasts. What’s more, Buckhead residents have access to the Atlanta BeltLine, the redevelopment project that is connecting 45 neighborhoods throughout metro Atlanta with walking trails, parks and more. For many years, Buckhead was known for its bar and entertainment district. 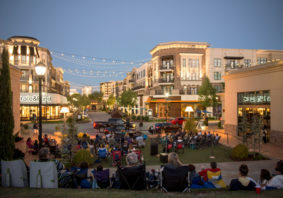 That area may have gotten smaller as new development opportunities arose, but the community is no less a destination for excellent after hours entertainment. One of Buckhead’s original nightspots, Johnny’s Hideaway is still going strong. There are also a host of additional venues, from the Havana Club to Moondogs to the Elbow Room. Check out these exceptional residential options in Buckhead. Whether you’re looking for a detached home for your growing family or a condo to share with a roommate, the community has it all. Chastain East, a community of 32 custom-designed residences nestled beside Chastain Park. The neighborhood is located in the prominent W.T. Jackson Elementary School district and is being developed by Southeast Capital Companies and Home South Communities. Homes start at $1.1 million, and the community has received the Atlanta Agents’ Choice Best New Development award. For more information, visit chastaineast.com. The Sutton, a 151-unit luxury condominium project, is currently being developed by Preserve Properties. The 21-story building will offer one- to three-bedroom residences ranging from the $500s to more than $1.4 million. The building also will include 24/7 concierge service, porte-cochere entry, a 1,500-square-foot clubroom with coffee bar, a 2,200-square-foot fitness center, a heated saltwater pool and much more. 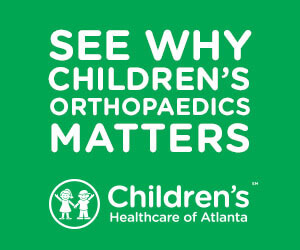 For more information, visit thesuttonbuckhead.com. 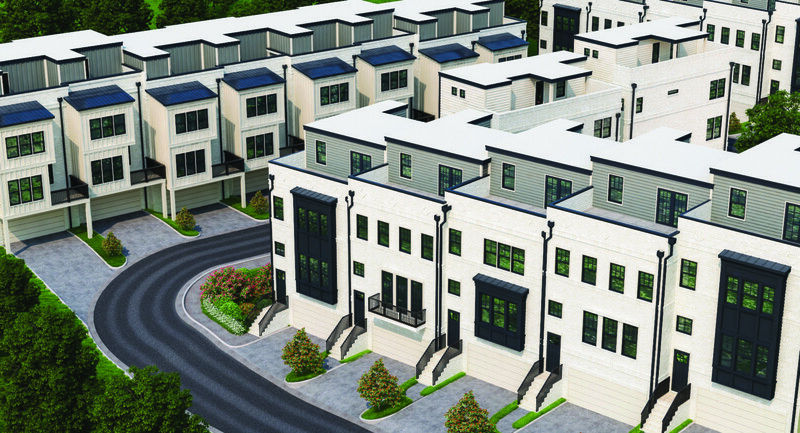 28th at Brookwood from Rockhaven Homes offers 18 townhomes and five single-family homes in one of Buckhead’s most desirable locations. 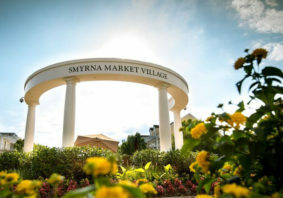 The community is the epitome of vibrant intown living, with walkability and convenience at its core. Within the homes, open floor plans, high-end finishes, private rooftop terraces and an array of exceptional features welcome residents. Homes range from the $700s to $800s+. For more information, visit rockhavenga.com/28th-at-brookwood. The Brownstones at Cosmopolitan, a new community from Rockhaven Homes, features 33 well-appointed townhomes priced from the high $300s to the high $500s located in the heart of the Lindbergh Park redevelopment project. The units feature modern brownstone architecture, gourmet kitchens, open floor plans and more, as well as access to five-star amenities like a resort-style swimming pool, fitness center with a private yoga studio, piano lounge and 24-hour concierge service. For more information, visit rockhavenga.com/cosmopolitan.